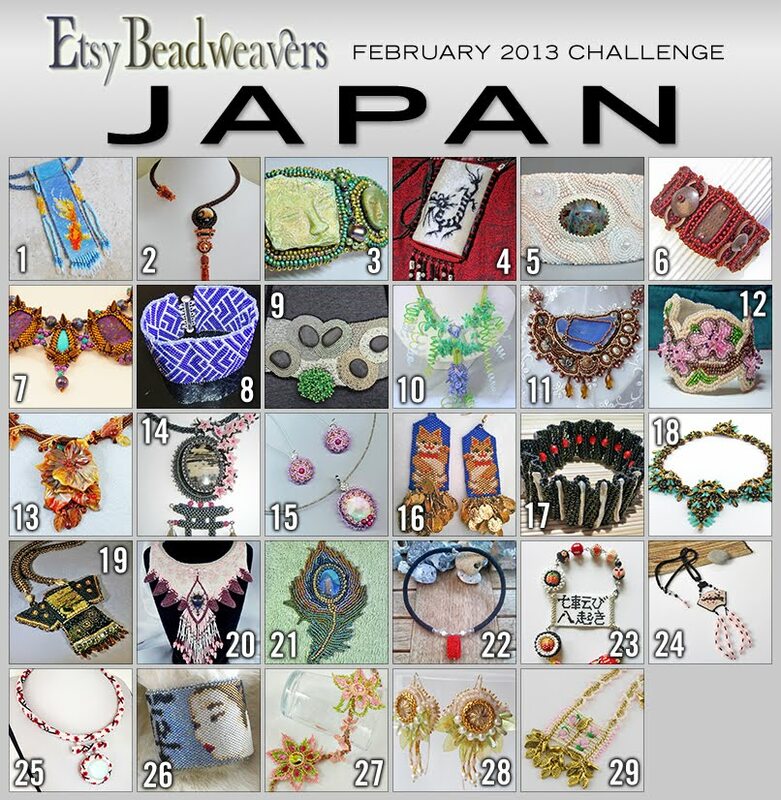 It's finally time to vote for this month Etsy Beadweavers Challenge! Theme: Japan!!! "Japan has a most exciting culture. There is a distinct division between past and future: ancient traditional values with their strong rituals, art forms and language on one side, versus the crazy dazzling fashion modernity, neon colors, and plastic kitsch on the other side. 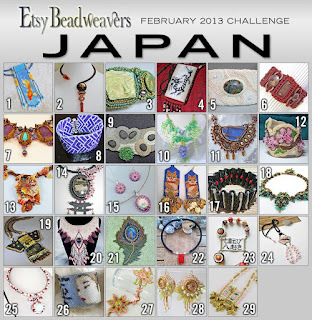 Pick ONE of these two styles to create a piece of jewelry that shows the important criteria needed to convey either the traditional or the modern Japan. OR: combine both styles into one piece accentuating the contrasts!" Vote for your favorite piece of art from today until the 16th on our team blog!